A closer look into the supernatural ability of recognizing items that have been blessed (Hierognosis). -The mystical recognition of Blessed objects, Relics, Priests, and the Holy Eucharist in the lives of several mystics. "I see blessed objects endowed with a healing and helping power. 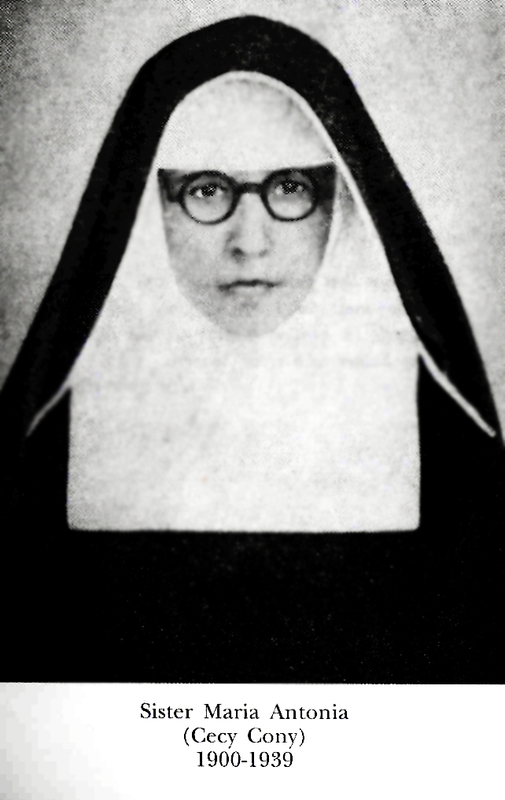 I see them as luminous and radiating light" -Servant of God, Therese Neumann, a renowned German mystic. Hierognosis is a supernatural gift given to certain mystics which consists of the ability to discern blessed or consecrated objects from those which are not blessed, such as whether or not a Host has been consecrated, whether a relic is authentic or not, or whether an object such as a crucifix or a rosary has been blessed by a priest. 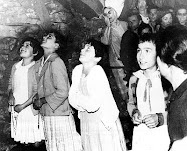 Additionally, the gift often extends to the discernment of the presence of a good or evil spirit, including especially the recognition of items that are cursed, and even the ability to find lost or hidden objects and holy relics. In a very broad definition, Hierognosis is the ability to recognize immediately any person, place, or thing that is holy, blessed or consecrated, and to distinguish it from those things that are not. Hierognosis is similar and loosely comparable to what science defines as "Psychometry". It should also be noted that this charism is closely related to the gift of Cardiognosis (or Kardiognosis) which is the supernatural ability to read the hearts of others, thus being able to discern--in the light of God--as to whether a person is in a state of grace, or a state of sin. 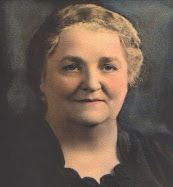 Servant of God, Therese Neumann (1898-1962), a modern mystic, was renowned for this faculty of recognizing consecrated and blessed items along with relics, most especially when she was in the state of ecstasy. 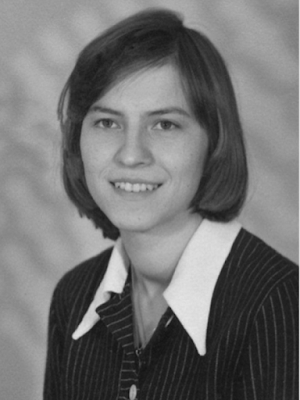 In regards to her ability to recognize priests, Therese explained that she was able to recognize any ordained priest by his "consecrated hands”. 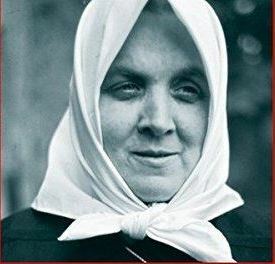 Often, most especially during World War II, priests and military chaplains would come dressed as ordinary lay persons or in regular military fatigues, and she would immediately identify them, addressing them by saying “Hello Father”, leaving many astonished at her recognizing them. Additionally she could also immediately tell the difference between consecrated and unconsecrated Hosts. She was able to recognize the presence of the Blessed Sacrament in a church as far away as one mile. 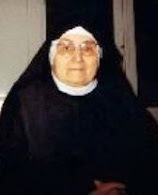 When her spiritual director, Father Naber, asked her on several occasions while driving and visiting locations completely unfamiliar to her whether the Blessed Sacrament was present, her answer was always immediate and definite, pointing in the direction of the place where the Eucharist was located. 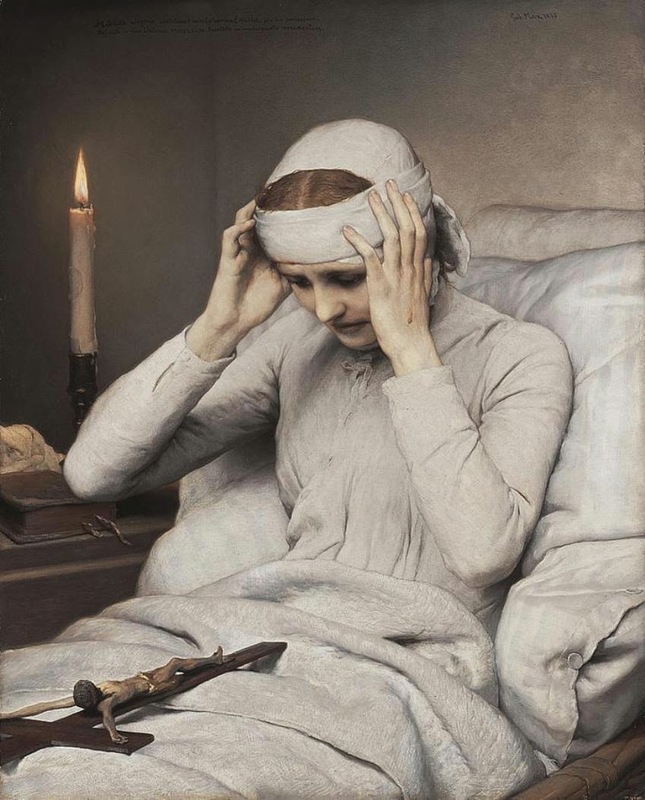 When she approached the Blessed Sacrament--whether it was in the tabernacle of a Catholic Church or carried on the person of a priest making a sick call--her stigmata wounds reflected this joy, and the pain subsided temporarily. 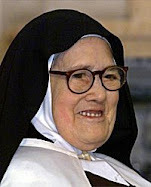 Knowing that Therese always recognized a Catholic Church having the Blessed Sacrament present, a priest once asked her, "Is it also true that you can feel when a visitor has received Holy Communion?" "Yes," she said, "but only within a cer­tain length of time." On another occasion while Therese was in ecstasy, she asked a visiting priest to show her his rosary. When the priest handed it to her, she kissed it devoutly and explained that this rosary had once been used by Blessed Kreszentia of Kaufbeuren, Bavaria. The priest knew the history of this particular rosary to be precisely as Therese stated it. On one occasion a gentleman brought a relic along from Italy. As Therese was touched by the relic, she immediately responded that it was from a saint in Heaven who knew the Pope very well. 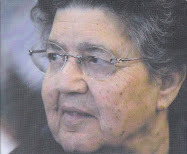 She also told the name of the saint; it was Contardo Ferrini, who was not known at all in Ger­many, and whose connection with the Holy Father was known by only a few trusted people. 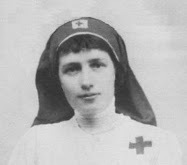 Again Therese startled the visitors by telling the incidents of his life, which they themselves did not know. It turned out that she was correct, as always. 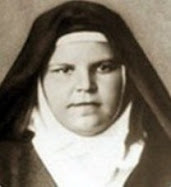 In addition to being able to identify who the Saint was when relics were shown to her, Therese was also able to discern whether relics were authentic, or not. She was able to tell, instantly, whether a relic is genuine or spurious, no matter what tests are applied or how firmly the authenticity of a supposed relic may have been held. She could also tell whether a relic is of the first class: a part of the body of the saint; or only a minor relic, like a piece of the saint's clothing or something that has touched a relic. A Benedictine monk had inherited from his grandmother a supposedly true relic of the cross, which had belonged to nuns who fled from the Rhineland before the Napoleonic invasion. 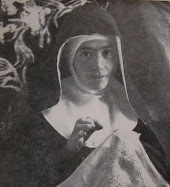 After a Passion ecstasy, the monk put the relic near one of Therese's stigmata. 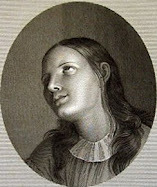 At once she raised her wounded hand as a sign that the particle was genuine, and added that it was from that part of the cross under the Redeemer's feet. 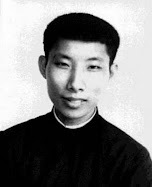 The monk also was told that another relic in his possession was of a "holy pope and martyr." The tiny label affixed to it bore the word "Linus" but she could not possibly have seen or read it. St. Linus was the first successor of St. Peter as pope and died in A.D. 78. 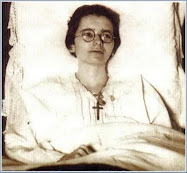 A physician named Dr. Gerlich wrote that on one occasion Father Naber submitted a relic enclosed and hidden in a sachel which Therese, without opening her eyes, described as a fragment of the true cross, and she gave exact details as to the part of the Cross from which it was taken. In other instances she would say: "This is not ... but it has been touched to....", or simply shake her head signifying that the item was not an authentic relic. A religious identified as 'Brother C.' submitted a crucifix hanging from the cord of his habit. Therese said: "Genuine and spurious ....You believed that there was a relic of St. Francis in it. It is not a true one, but you may continue to reverence it, for it touched a true relic of St Francis. The one of St. Clare is genuine." Opening the crucifix and showing those nearby, the contents bore two inscriptions, 'S. Franciscus,' and 'S. Clara'. She verified the relics of St. Odilo, who died more than one thousand years ago; of Duns Scotus and St. Cecilia, "the maiden whose neck they cut"; St. Stephen, the protomartyr; St. Lawrence and St. Elizabeth. When she identified the relic of Saint Nicholas von der Fliie, who died in 1487, she said: "Oh, my, that was a very good man, for he loved the Saviour very much. And do you know, he ate nothing, just as I do. But he had it better than I, for he was in the woods and the 'shining man' (her designation for the guardian angel) brought him our Lord." Someone asked how often this happened, and she answered, "Many times." 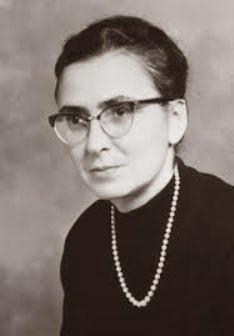 A native of her own village of Konnerseuth figured in one of Therese's identifications of relics. 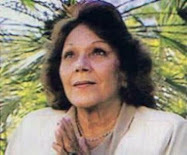 On this occasion referring to a relic she said: "This saint entered heaven without going through purgatory. He was born here in Konnerseuth, then he went to Abyssinia, where he was martyred. One ought to pray for his speedy beatification." The person she was speaking of was named Father Liberatus Weiss, a Franciscan missionary who was stoned to death on March 3, 1716. As for the power of a blessing from a priest, it was often well attested that there was only one thing that would bring Therese out of a Thursday evening/Friday Passion ecstasy momentarily, and that was the blessing of a Catholic priest (or bishop) who might be present. She would respond to the blessing with the words: Thanks be to God, Father (or your Excellency). 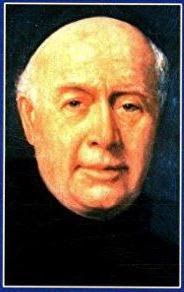 Father Paul of Moll, Belgium (Francis Luyckx 1824-1896), a Benedictine priest, received from God some very extraordinary mystical graces during his lifetime, after being miraculously cured of a grave illness at the time he was ordained a priest. He worked many miracles, especially through the use of the medal of St Benedict, the founder of the religious order that he belonged to. A woman from Zevenbergen, Holland once brought Father Paul a closed package containing three gross of medals (432 medals) of Our Lady and asked him to bless them. “With pleasure," replied the Rev. Father, "I shall bless them all except one which is a medal of the Precious Blood, and for that one I shall say a little prayer." When the lady returned home and looked over all of the medals, she found among them one medal of the Precious Blood of which Father Paul had spoken. 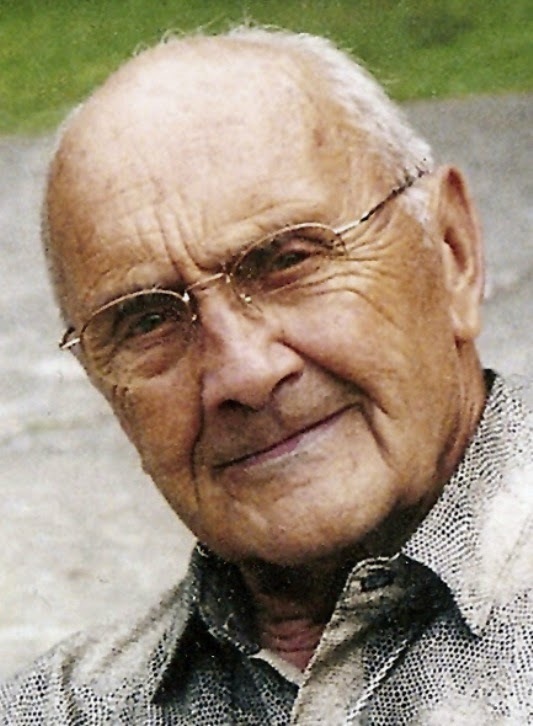 A woman of Flanders with the family name Wyngene states: "I visited Father Paul one day with my daughter whom he had previously cured, and out of the the blue he asked her for her rosary, saying it was not blessed. It was true, in fact, that it had not yet been blessed, and the Rev. Father blessed the rosary and gave it back to her." And speaking of rosaries, a woman was visiting Fr Paul when out of the blue he said "I would like to see your rosary." Surprised by the request, she took her rosary--which was broken and in numerous parts for quite a long time--out of her pocket, and seeing all the broken pieces Fr. Paul let out a hearty laugh saying "You really ought to get yourself a new one!" A married woman from Oostkamp, Belgium had lost several children in their infancy. 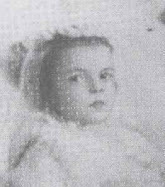 In 1881 her last born child, only five weeks old, all at once became very sullen. The mother not being able to nurse him anymore, brought him to Fr. Paul at the monastery in Steenbrugge. Sitting down in a pew of the church, she held the baby on her knees. Father Paul knelt down before the child and held his hand, and for the first time the little one began to laugh while looking at Father Paul. "Don't worry," he said, "your child will be cured: but you have in your house baby clothes that came from a strange woman; burn them as soon as possible. When you have done so, the child will be well. Make a novena in honor of St. Benedict; I shall pray also; if the trouble shall continue, come back." Having returned home, the mother remembered that she had in possession some clothes that her sister had given her, and that her sister had received the things from a woman "of doubtful character" living in the neighborhood (presumably one whom practiced witchcraft- editor) . In accordance with the Rev. Father Paul's advice, these clothes were burned. A few days later, the child seemed to be cured, but on the last day of the novena, it began to cry again as it had done before. The mother made a second visit to Steenbrugge. "You did not burn everything in your house which came from that strange woman. Go home and seek everywhere, and on the way home, conceal your child and do not show him to anyone." The woman left the monastery. Hardly had she proceeded a few hundred paces, when an old woman accosted her and said, "Hold on! you went to show your baby to Father Paul; let me see it also!" "I have no time," the mother replied. As soon as she reached home, she searched every nook and corner of the house. Under a piece of furniture, she found an old pair of infant's shoes which she threw into the fire. From that day her sons health was permanently restored. Additionally we find the in the life of Fr. Paul of Moll the story of a good merchant of Antwerp who had three small children--two boys and a girl. Among those who brought provisions to his store there was a country woman about forty years of age who from time to time delivered her products such as eggs, buttermilk, fruits and vegetables. 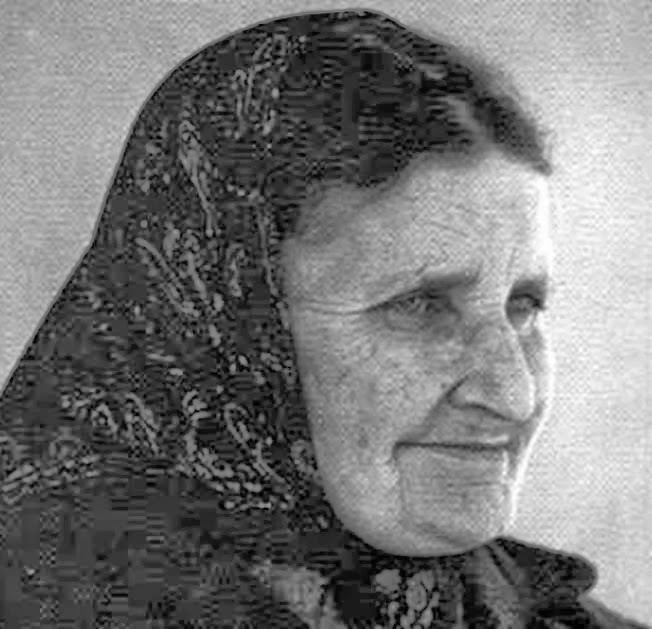 One day in 1890 this woman gave the merchants older son some apples to eat, and shortly after the child was taken so sick that their physician confessed that he was unable to understand the nature of the illness, and declared there was no hope of his recovery. In addition, four other physicians soon arrived at the same conclusion. For their part, during this time the parents noticed some very strange occurrences that took place with this boy, the cause of which they could not explain. When a blessed statuette of St Joseph or any other blessed object was presented to the child, he was soon afflicted with extreme terror. The boy died shortly afterwards, and then the same sickness soon befell his little brother. In the meantime the country woman continued to bring her provisions to the store. One day these words escaped her "Is the little one not dead yet?" -but it was only after speaking to Fr. Paul that these words were understood. Following the advice of an acquaintance of Father Paul the sorrowing father went to the monastery of Termonde where Fr. Paul was living and submitted his sad case to the saintly Benedictine. 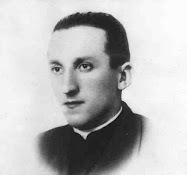 Father Paul said to him that it is never good to allow strangers to give one's children apples, candy, or similar things. 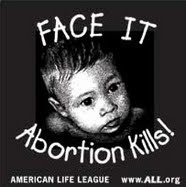 Referring to the sickened younger son he then said: "Your little boy will soon be a beautiful angel in heaven." The child died soon after and Father Paul came to visit and console the parents at their home. He offered a prayer and then gave a medal of St Benedict to be attached to the wall of the store saying that as long as he (Fr. Paul) was still living, the woman would not again put her foot into their store. So it was and from that day the affairs of this merchant began to prosper. The Rev Father Paul also told them if the wicked woman ever returned, they should send her away, but without malice. Father Paul died the night of February 24, 1896, at five minutes to eleven, and the very next morning at 9:00AM--and before the news of his death had become known-- the evil minded woman who lived two miles from Antwerp came to the store---not however to bring any provisions, but in an attempt to buy some mere trifles. Following Fr. Paul's advice, the merchant refused to sell her anything, and finally told her to get out of the store. "How everything has changed here" she exclaimed, and then left, not to return again. Yet, in the course of another visit from Fr. Paul soon after their second sons death, Father Paul said to the merchant and his family: "You do not expect any more children, but you will have one, and it will be a boy." The prediction was later fulfilled, and was received by the family as a sort of Divine recompense (perhaps through the intercession of Fr. Paul?) for the earlier loss of their two young boys, due to the cursed apples given by the malicious woman. Support this website! 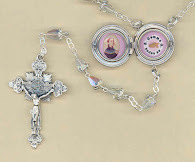 Check out the relic lockets, books, relic locket rosaries and other items in the Mystics of the Church Gift Store. Thank you! One could add also the fact of how in 1891 the house of the Blessed Virgin Mary (House of the Dormition) was found in Ephesus due to Anne Catherine's descriptions of the location taken from her visions. Thanks Padraig---it is great to hear from you, my friend! Hope you have a nice weekend. The visionaries in Garabandal were also able to detect the presence of priests and if an object was kissed by the Blessed Virgin or not. Cursed items? Are you kidding me. Only God has the power over life and death or even sickness. Are you sure Paul of Moll is a priest or an occultist. This article really questions the line between good faith and occultism. Old women putting curses on objects? Where is your faith in God? I read a book on exorcism which talked about curses and the evil eye. What rubbish. Only God has the power over such things that are attributed to curses and the evil eye. Where do these people get these supposed powers. Also, these various magical powers, although they may be real at times, are more about that persons ego. What powers did Mother Theresa have? If she had any supernatural powers she certainly didn't go around exploiting them. Which of these fortune telling powers within the article are truly divine? Any of the Hindu mystics would think such things as on a low order of spirituality. 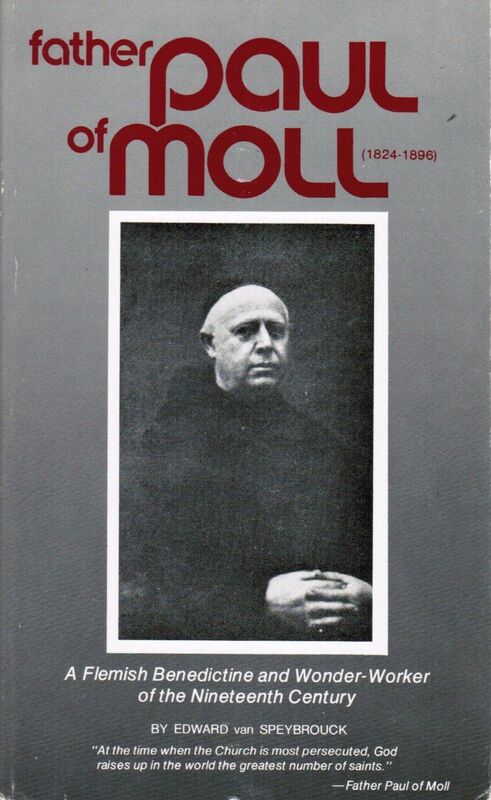 Read Thomas Merton he'll enlighten you. Why would anyone put their faith in any object and believe it to blessed or cursed. That's occultism. How is that different than voodoo, talismans or a lucky rabbit's foot? What if the priest who blessed your object turns out to be a crook or worse? Any time you attribute fortune or misfortune to things or people you deny the power of God to direct your life. You simply lack faith. How is predicting the future and fortune telling different? What difference does it even make that some so called holy person is able to tell a blessed object? Pieces of the cross? Who told you this stuff and why does it matter. This all fuels the fires of superstition and belief in magic. Where do you draw the line between Christianity and Occultism. I don't recall Jesus carrying around a lucky rabbit's foot or blessed magical amulet. 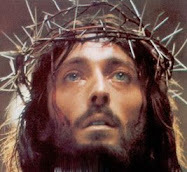 One more thing, I can respect Padre Pio, he still said Mass and heard confessions all day long even with the stigmata. 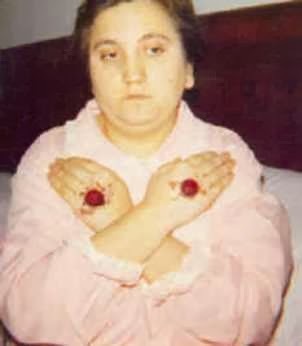 I'm not sure I buy into anyone who lays in bed with the stigmata and people come and visit and she supposedly blesses them and tells them some fortune. Or anyone who claims to have visions of Jesus's crucifixion. If I told you that stuff would you believe me? If I gave you the evil eye would you run in fear? 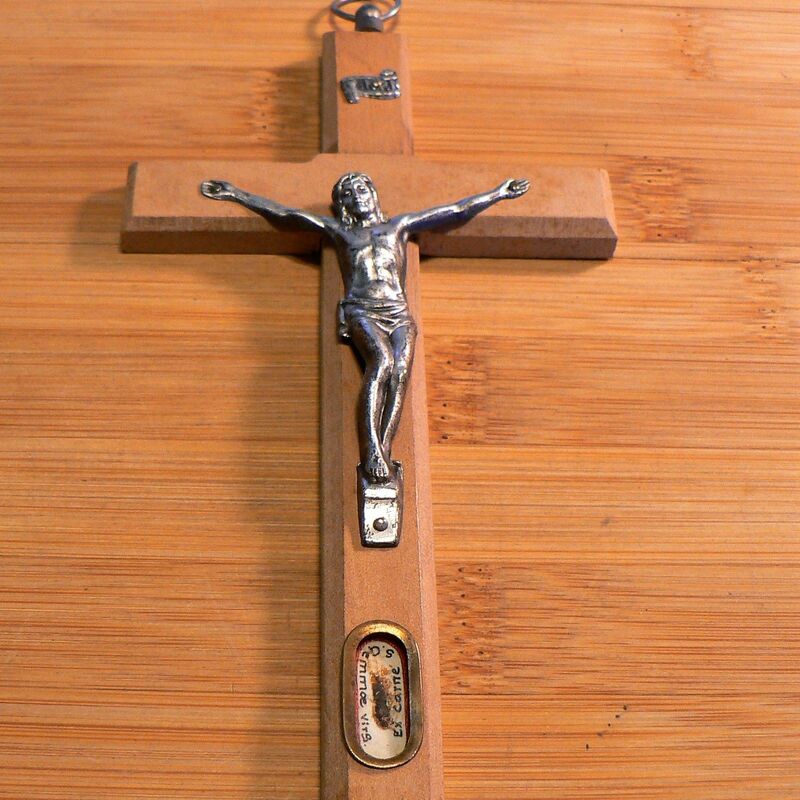 If I said I had a piece of the true cross would you buy it from me? Maybe you think it has special powers that you can use. This stuff really bothers me and any Christian should question it. In regards to God blessing objects and imparting upon them certain Divine powers, there are quite a few Scriptural references that support such a position. "So Moses made a bronze snake and put it up on a pole. Then when anyone was bitten by a snake and looked at the bronze snake, they lived." "God did extraordinary miracles through the hands of Paul, so that even handkerchiefs and aprons that had touched him were taken to the sick, and the diseases and evil spirits left them." And as for the existence of curses and cursed items, the Scriptures are full of references, for example Deut. 25: "The graven images of their gods you shall burn with fire; you shall not covet the silver or the gold that is on them, or take it for yourselves, lest you be ensnared by it; for it is an abomination to the LORD your God. And you shall not bring an abominable thing into your house, and become accursed like it; you shall utterly detest and abhor it; for it is an accursed thing." "There shall not be found among you anyone who burns his son or his daughter as an offering, anyone who practices divination or tells fortunes or interprets omens, or a sorcerer or a charmer or a medium or a necromancer or one who inquires of the dead." In addition in regards to curses/cursed items, see also Joshua 6:18, Genesis 8:21 just to mention a few others. In regards to JT's comments, it's not the blessed object itself that has any power of it's own, but the grace of Christ which flows through the object. The blessing of a priest has special power because Christ is with us through His Church. So you're right, it is the power of God that directs all. JT Jesus himself healed through objects - including his own clothing. Consider the story below. It is in fact gospel stories such as these upon which beliefs about blessed objects is based. As Jesus went with him, the crowds pressed around Him, 43including a woman who had been subject to bleeding for twelve years. She had spent all her money on physicians,d but no one was able to heal her. 44She came up behind Jesus and touched the fringe of His cloak, and immediately her bleeding stopped. 47Then the woman, seeing that she could not escape notice, came trembling and fell down before Him. In the presence of all the people she explained why she had touched Him and how she had immediately been healed. I am always highly impressed by you Glenn Dallaire in the way you calmly explain the treasures of the Catholic Church and the address those posts that do not understand the rich culture of holiness with which the Catholic Church has been endowed. Truly the Holy Spirit guides you so that we can enjoy your very good articles. I cannot long stay away from looking at your latest offerings.. Thanks Robert for your kind comments! I am very happy to hear that you are enjoying the website and that you are inspired by the holy lives of the persons presented here. Wonderful and patient description on the biblical references to blessed and cursed objects. God bless you Glenn, wish I know you better. I want a spiritual Director.